I think I have assembled the fastest, easiest wreath known to man. 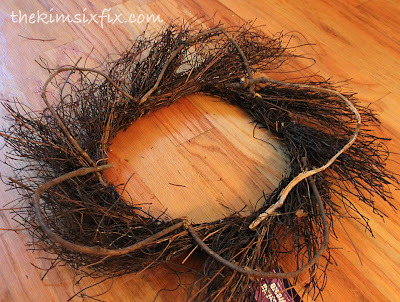 You may remember that back in October I put together a Halloween wreath out of a $2 scavenged wreath form. 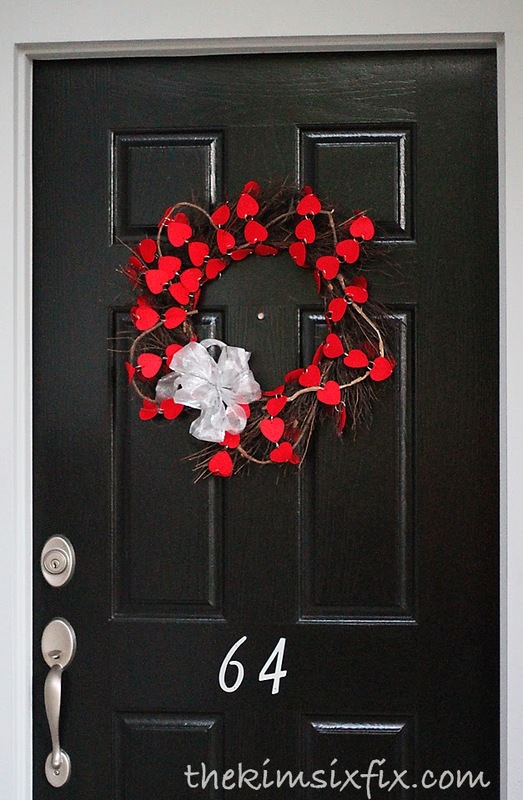 Well, I still had that wreath from lying around and so I decided that once again I would start with it as a blank canvas. 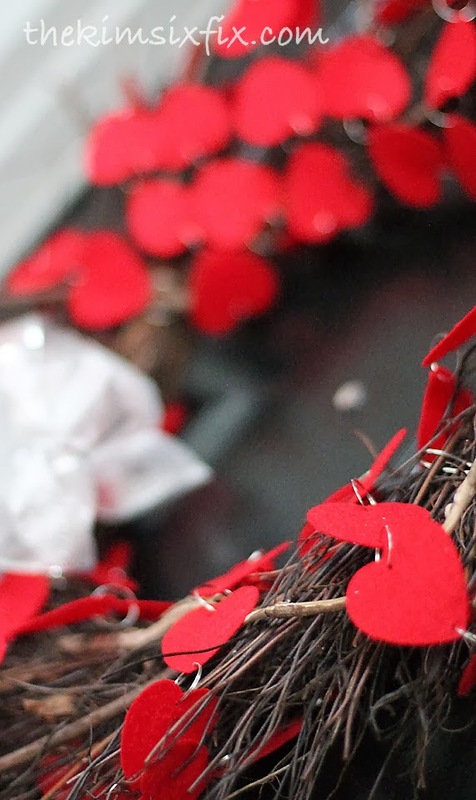 I don't have any "Valentines-y" floral picks, and so I had to figure out what I could use that was lying around the house. 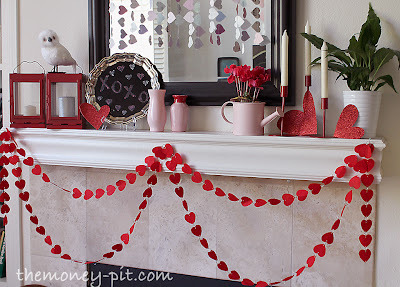 Because I made a new Valentine's garland recently, I had this dollar store one leftover from last year's mantle. 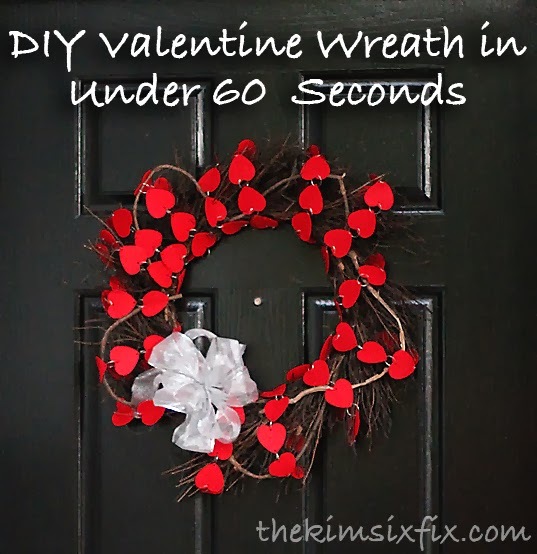 I considered cutting it up and wiring the hearts to the wreath, but then my lazy gene kicked in and I so I decided just to wrap the garland around the wreath form. 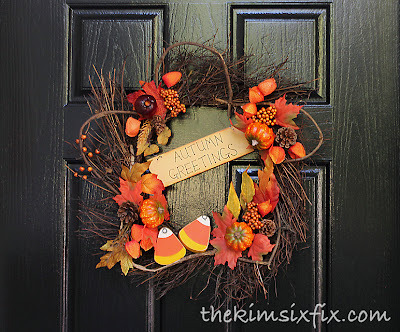 I hung it on the front door.. and VOILA. 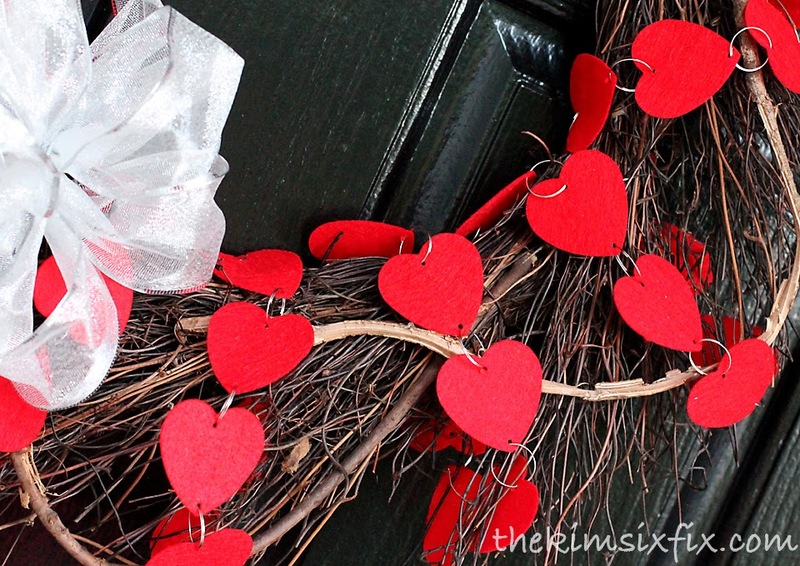 A free, easy and quick little wreath for Valentine's day. The kind of project I can really stand behind.